Eliminating single-use plastic straws seems like such a no-brainer to me. We have seen the horrific plastic pollution caused by our world’s excessive use of plastic, and straws are one piece of that puzzle. I do my best to carry reusable straws with me, and I’ll be honest, sometimes I forget to put them back in my bag after I wash them. And then there are times when we go out somewhere that I forget to say “I don’t need a straw” and whoever makes my drink automatically puts one in, and then it’s too late to refuse it! What if we could change the culture around drinks so that this doesn’t keep happening? That is exactly what Andria and Colleen from Project Straw are trying to do. I got a chance to ask them some questions about Project Straw! What made you decide to start Project Straw? We were looking at starting a business online. When going through the process of figuring out what we wanted to sell, we came upon stainless steel straws. Both of us had been using stainless steel straws for years and loved everything about them. There had been some talk in the news about banning plastic straws in restaurants. We thought, hey if restaurants are going to stop providing straws, why don’t we create a product that will allow people to bring their reusable straws with them? That’s how we decided to create our travel pouch set. The travel pouch set is a stylish and easy way to carry your straws with you. What are the straws made of, and where? Our straws are made of high quality food grade stainless steel. Our straws are manufactured in China. Our goal is to provide the best quality products for our customers. We have chosen a manufacturer that we feel is a great fit for our company. What makes them different from other reusable straws? They fit in most cups and bottles, as we have different sizes to choose from. They are odourless and easy to keep clean. What material are the travel pouches made from? The travel pouch is made of various types of canvas. We hand pick the best quality fabric and we love the fun designs canvas has to offer. It’s durable and easy to clean. Will you be carrying products other than straws? We plan to carry a line of our own handmade reusable fabric wraps. We are also looking at Envirosax reusable bags, and reusable produce bags. What are the top 3 tips you have for people to start reducing waste and living a greener life? I say keep it simple. Bring your own reusable straw with you, so you can say no when offered a straw when out. Always carry reusable bags in your car for groceries. Simple tips are a great way to start your green living journey! I tried out the straws myself and they are fantastic! I usually prefer glass straws because I like to see the liquid go up my straw, but the downside to glass is that it’s breakable. These stainless steel straws won’t break, and are easy to carry around in the bag. Not only that, there’s no metallic taste when you’re drinking through it. I like to drink carbonated water from my soda stream with a drop of lemon or lime essential oil for flavouring. It tastes great with these straws! The straws also come in different widths, so they can fit a variety of straw cups. I was excited to see that one of the straws I got fit perfectly in my ecojarz mason jar lid attachment. 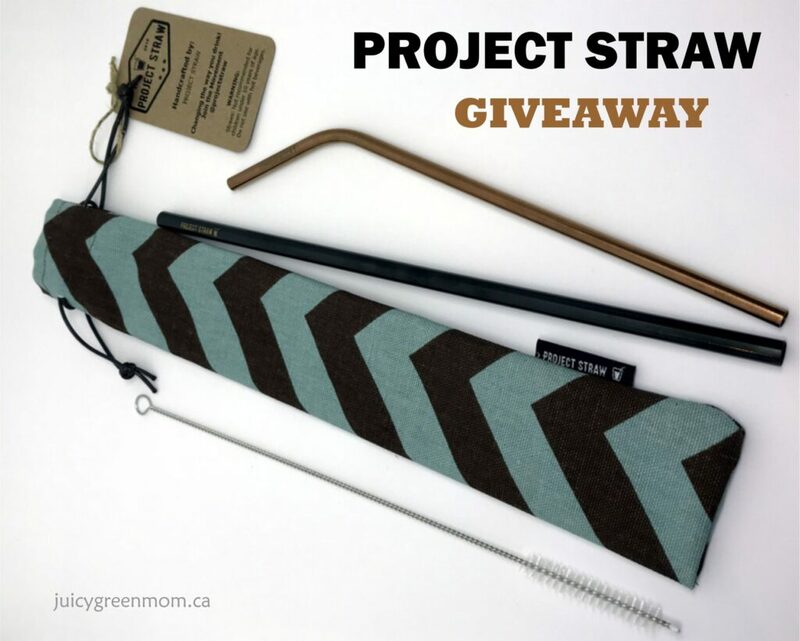 Project Straw is one of my Favourite Green Things for 2018, and so they are also doing a GIVEAWAY! 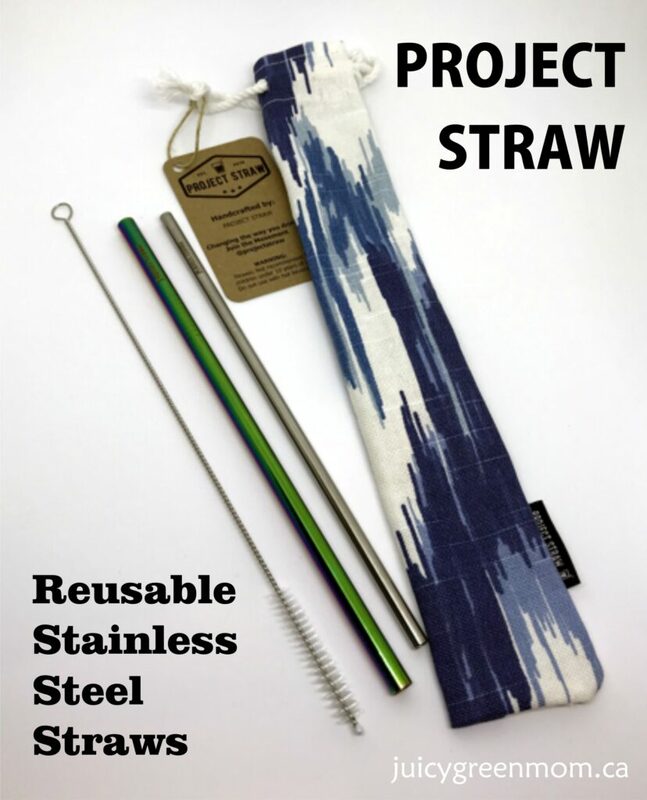 Enter to win this set from Project Straw! They are giving away a set of 2 straws with a brush and pouch – for you to keep or give away. Join the movement @projectstraw – follow them on Instagram or Facebook! 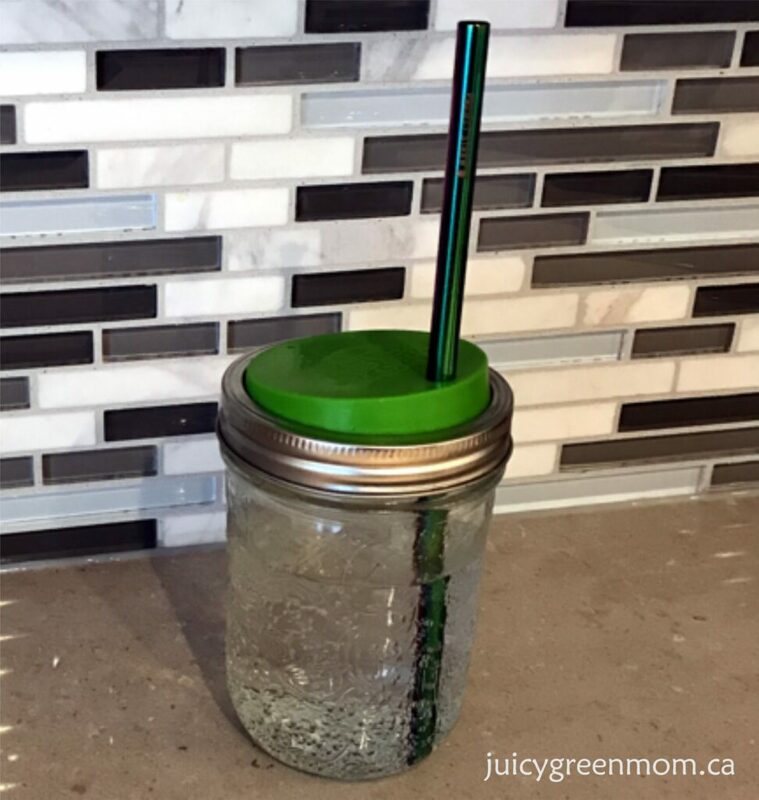 Do you use reusable straws?